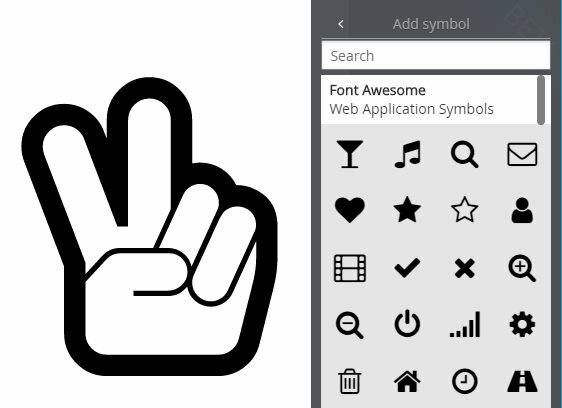 There is a massive range of symbols and icons for you to use in your documents. You will find them on the Insert Menu when you tap the + (Add) icon in the top right corner. You can place your symbol as a stand-alone scalable graphic - just click on the symbol with no active selection in your document and it will appear in the center of the doc for you to resize and position. Or with the text cursor active you can insert a symbol into your text. Just place the cursor at the point in your text where you want the symbol to appear and click on the symbol. Now the symbol will behave like it’s part of the text.